Sibenik is the oldest autochthonous, native Croatian town on the Adriatic coast and is located in the most protected natural harbour in the middle of the eastern coast of the Adriatic Sea, next to ancient Mare Adriaticum at the mouth of beautiful river Krka at the foundation of rich Croatian history, probably the sight where some of the first Croatian settlers saw the big blue sea, moody and beautiful, sea that protected, sheltered and fed them for centuries. 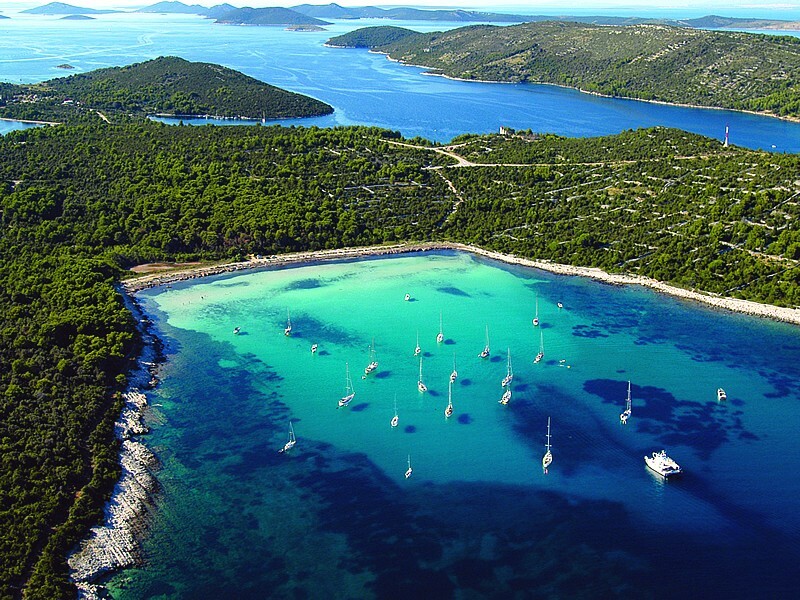 After mooring your sailing, motor or catamaran vessel in Sibenik you can enjoy up the latest Croatian trends. 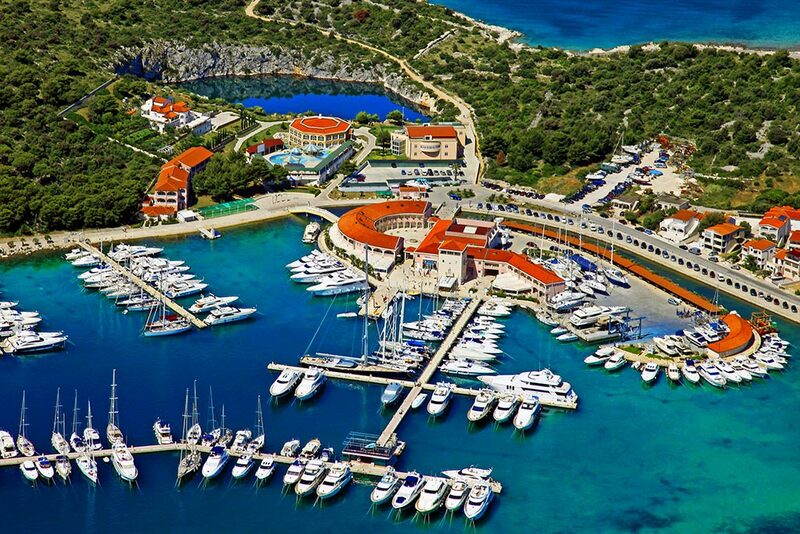 Best Marinas near Šibenik are Marina Mandalina, Marina Frapa, ACI Marina Jezera, ACI Marina Vodice, Marina Solaris, Marina Hramina, Marina Kremik and ACI Marina Skradin . This is a beautiful place to be around after an sailing day on the Croatian coastline. 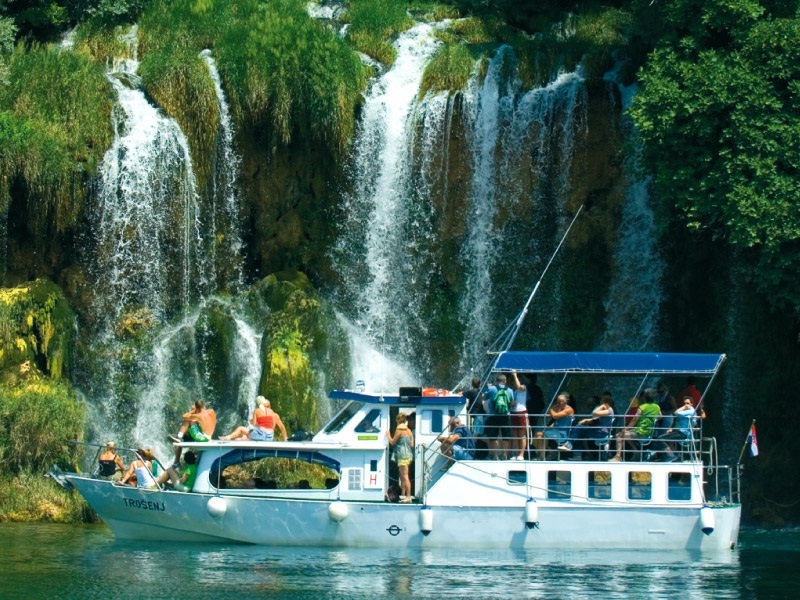 The same county has not one but two national parks - Krka Falls and Kornati. Sibenik was first mentioned in 1066. in a document written and issued by the King Peter Kresimir IV who then resided in St. Michael’s fortified citadel. How Sibenik got its name is a mistery but there is one theory according to which a well known Renaissance novelist Juraj Sizgorić wrote that the name was derived from Croatian word šiba that means tree. Since the whole territory is surrounded by the St. Michael’s forest this might be correct. Venetians ruled the city in two periods from 1116-1124. And from 1125-1133. In 1167 Sibenik was given autonomy by the Croatian-Hungarian king Stephen IV. After a short period of Byzantine rule until 1180. Town was ruled alternately by the Croatian-Hungarian kings, Venice, Bosnian king Stephen Tvrtko and Hrvoje Vukčić Hrvatinic from Hercegovina. Sibenik was again under Venetian rule from 1412 until 1797. Austrian rule took over from then until 1918 except there was a short period of French occupation at the beginning of 19th century. At the end of World War II Sibenik along with the rest of Dalmatia was occupied by Italy but it was restored to Croatia according to the Rapallo agreement in 1920. City of Sibenik is at the exceptionally significant traffic position that enables direct traffic lines with other destinations. The backbone is Adriatic tourist road with two branching one to Drnis (33 km) and other to Knin (55 km. Sibenik is also a resting stop on important route and railway line that leads towards Zagreb and Split. If you are coming to Croatia in the charter base with airplane, air traffic goes through Split airport Resnik in Kastela (45 km) and airport Zemunik 50 km away from Sibenik.